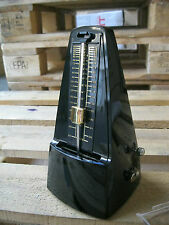 Vintage Wittner Metronome Made in Germany *TESTED & WORKING* no bell Wind up Pyramid style Made of wood Please see photos for detailed information on the condition of the metronome. I would describe it as being in average to good condition. Large LCD screen simulates swinging of pendulum. Bass Guitars. Reference Pitch Generator. 3 Color LED shows in tune or missed tune. 7 beat settings. Selecting and purchasing a product online can be a very difficult process. Pattern randomColor: Teak colorMaterial: Plastic and metalSuitability: For piano, guitar, violin, ukulele, Chinese zither and other music instrumentsBeats/per minute: 60~208/per minuteUnique mini mechanical metronome design, only 11cm height, pocket size, very portableThe metronome adopts durable high-elastic nylon movement, which ensures a more stable working state, avoiding the shortcomings that ordinary metronomes are not accurate when once droppedIts sound is soft, not harsh at allWithout bell ringingIt has a wind up mechanism and a swinging pendulum and is enclosed in a high-impact plastic caseMetronome can help you train your concept on music speed, make your instrumental performance more complete and smooth, and make the rhythm more evenOperating Inst. ● Bornes colorées, jusqu'à Ø 4 mm. ● Supporte jusqu'à 200 Watts. Webbing: Black elastic nylon webbing with silicon.Patented Easy Tape fastener. It’s not just about videos and know how; it’s about the person on the other end of the line. We're musicians just like you. Poids environ : 0,120 kg. Used, but in good working condition! Dated 1978 on the base of the dial - and initialled "RH". In used condition. See photographs for details of any areas of wear etc. Takes 1 x 9v battery - not supplied. It is built with a monitor speaker, a 1/8" earphone jack for quiet listening, and 60 notes (C2 to B6). MPN: SQ200. A broken string is not considered to be a "defective" product and/or "not as advertised". Up to one 1 foot (12") Apogee Wyde Eye Word Clock Cable (75Ω) with Canare Connectors. Features & Benefits of Apogee Wyde Eye Cable. GN = Geistnote. Features & Benefits of Canare BNC Crimp Plug. 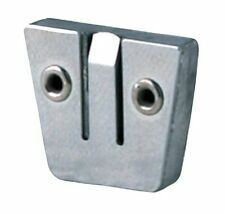 Canare BNC Crimp Plug Details. Snark ST 8 Super Tight Chormatic Tuner Newest Version - YouTube. New microchip with super fast, super tight tuning! New high resolution, super bright display that you can read from any angle. THIS IS AGAINST U.S. LAW. Use the setting dial to easily adjust the tempo and/or pitch generated note value. Bass Guitars. Reference Pitch Generator. Pause button - simply press the button to start the pitch - press again to stop the pitch. Headphone jack. Convenient take along size fits in shirt pocket. The 8 color LED's swing like a pendulum and is one of the best ways to see the beat. 8 color LED's move with beat - when in the accenting mode the first light will flash green -- all others are red. • Tap function: create your own tempo. • Pitch: 410Hz~450Hz. • Tempo range: C4~B4. • Tempo range 30-250 BPM. Manufactured inRepublic of Korea. No batteries are required. Size: 4.13 "x 8.66" x 4.72 ". Over 200 speeds-40 to 250 Beats Per Minute. Loud Sound and superior accuracy. 2/4, 3/4 or 4/4 Rhythm. 1.5 foot (18") Apogee Wyde Eye Word Clock Cable (75Ω) with Canare Connectors. Features & Benefits of Apogee Wyde Eye Cable. GN = Geistnote. Features & Benefits of Canare BNC Crimp Plug. Canare BNC Crimp Plug Details. Turn the dial to easily select the tempo. Easy to use dial for selecting the tempo- with Italian tempo markings (andante, moderato, etc.). Size: 2 1/2w x 3 3/4h x 1 1/4"d. One year warranty. Earphone included. 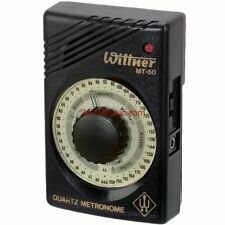 Intelli IDM1100 Metronome/Tone Generator. PROFESSIONAL. Digital, New waranteed. With batteries & ready to go! 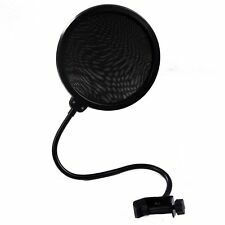 Apogee Wyde Eye (75Ω) 12 ft. Features & Benefits of Apogee Wyde Eye Cable. Flexible, supple outer jacket in distinctive purple. The Snark SM1 also featurs an extra loud speaker, a jack for ear phone buds, and a built-in tilt-back stand. It's a great addition to any practice room. A broken string is not considered to be a "defective" product and/or "not as advertised". The sound can be turned off to leave the light flashing. One year warranty. Large multi-function LCD display. Tuning range E1 - A3. Tuning keys C F Bb and Eb. LED Tuning guides. Pitch shift 435-445 Hz. A440 tone generator. 7 beat settings. Auto tempo degree display. 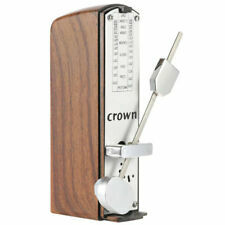 Vintage Wittner Taktell Electronic Metronome Boxed FREE POSTAGE Ex condition! Italian Tempo chart is on the back of the Imt1000 (Largo-Adagio etc.). Pitch Generator (Pitch Pipe) Features Pause button - simply press the button to start the pitch - press again to stop the pitch. Dekorative Pianolack-Optik. elegante Pianolack-Optik. 40 bis 208 BPM (Anschläge pro Minute). 5 subdivisions of beats- eighth notes, triplets, sixteenth, triplet and sixteenths with middle rests. A thumb wheel on the front allows quick selection of tempo and notes. Digital Auto Tuner Features. 3.0 foot (36") Apogee Wyde Eye Word Clock Cable (75Ω) with Canare Connectors. Features & Benefits of Apogee Wyde Eye Cable. GN = Geistnote. Features & Benefits of Canare BNC Crimp Plug. Canare BNC Crimp Plug Details. 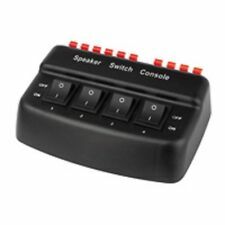 The Matrix MR-500 is a compact, cost-effective alternative to higher priced models. Easy-to-use dial quickly selects any tempo from 40-208 beats per minute. A combination of LED and sound displays tempo. Vintage FRANZ LM-FB-5 Electric Metronome with Pulse Light SOLID WALNUT- TESTED! 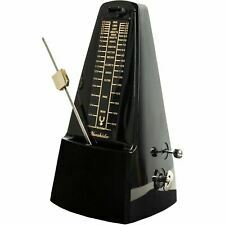 Vintage FRANZ LM-FB-5 Electric Metronome with Pulse Light SOLID WALNUT- TESTED! Condition is Used. Shipped with USPS Priority Mail. In very nice condition. Wood is flawless and rich in color. I have not added any finishing or oils to the wood. I will leave that up to you; however, I have found that lemon oil brings out the warmth and color or wood best. Please look closely at the pictures for condition and judge for yourself before buying. Thanks very much for looking! WITTNER traditional. STAMPED made in w germany to base. Red Color.Wind Up Key Style. LATE 19thC FRENCH "MAELZEL" ROSEWOOD CASED METRONOME c 1900-1910. THIS ONE WAS MADE WITH NO BELL.BUT I DO HAVE ONE LISTED WITH A FULLY WORKING BELL TEMPO. Ancien métronome MAELZEL Il fonctionne très bien. Il n'a pas sa clef, mais le ressort est bon, il fonctionne. Il manque un pied dessous. Boitier haut parleur 2 voies (TC-2). Contrôle des fonctionsManuel. Matériau extérieurMétal.